Is your home looking tired and dated? 2019 is the perfect time to ring the changes with a home renovation. 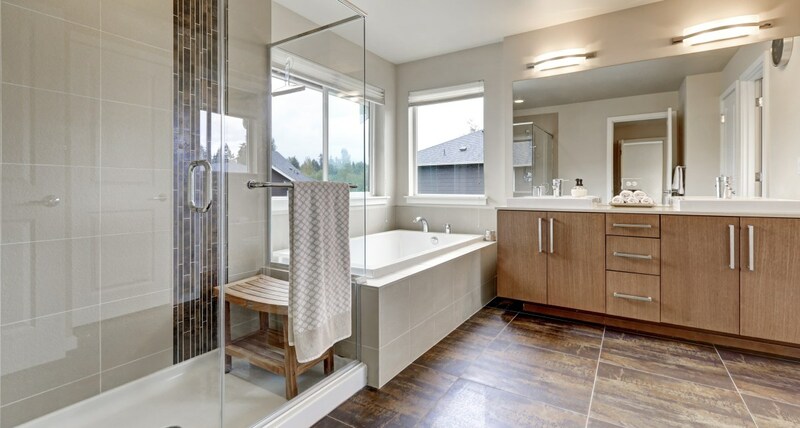 As you plan your project, it is important to take a look at current house reno trends, as well as trends relating specifically to bathroom and kitchen renovations. This will give you a clearer idea of your options, and will help to make sure you create a home which stands the test of time. Here are some of the trends in house renovations which are leading the way when it comes to creating the ultimate stylish home. 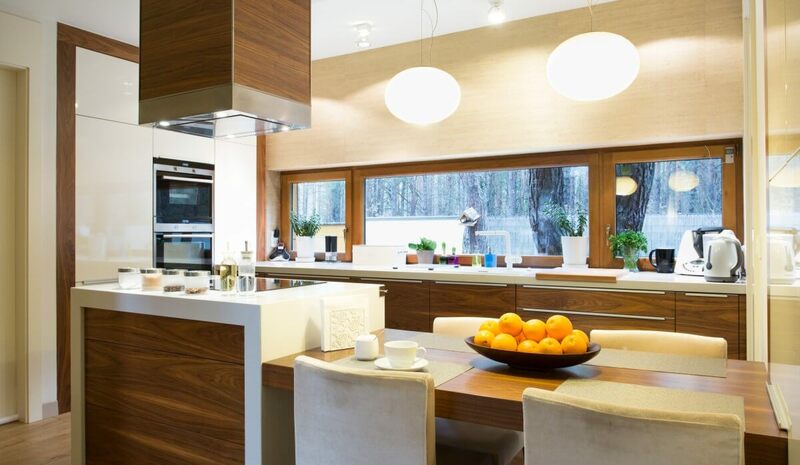 Open plan home renovations have been extremely popular for a number of years now, and this is set to continue throughout 2019 and beyond. This is because an open plan home lends itself much more readily to becoming multi-functional space which adapts easily to the different needs of all the occupants of the home. Today, this is more important than ever, with the demands of modern life requiring our homes to be more adaptable and streamlined, so they offer practical solutions as well as numerous different ways to relax. Another advantage of an open plan home is that it allows for larger windows, letting in more natural light and giving your property a more airy feel. This creates a seamless flow between the indoor and outdoor areas of your home, enabling you to integrate both areas effortlessly into your lifestyle. When you are renovating a house, it is important to consider the technological solutions you will need as you look to the future. It makes sense to have as much smart tech as possible built into your home at the time you renovate, to save you the hassle of adding it later. Smart solutions can be built into every room in the home. From kitchen appliances which can communicate with one another to create a perfect cooking environment, to showers which can be programmed to heat up so they are at the perfect temperature when you return home from work, smart technology is revolutionising the way we approach our homes. Factor in home entertainment solutions, and other cutting edge tech concepts, and you begin to see how smart technology gives you more opportunities to relax and truly enjoy the space. Now is the perfect time to upgrade your tech to make your lifestyle more coordinated and streamlined. The bathroom is one of the most important rooms in the home, and a sizeable, modern bathroom can add considerable value to your property. 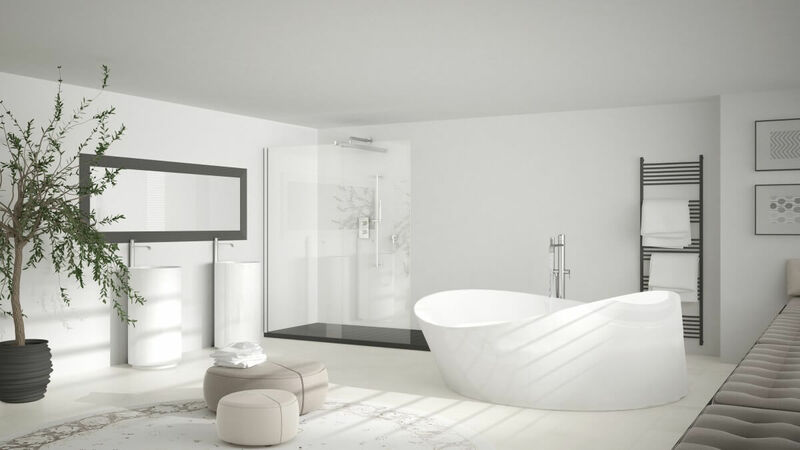 Even if you are not planning to sell, you will still benefit from a large, beautiful bathroom which enables total relaxation. To achieve this, you need more space, so you can recreate the spa experience in the convenience of your own home. A bathroom renovation specialist will be able to find clever ways of extending your bathroom by taking unused square metres from surrounding areas, and by knocking down walls to create a large, serene space where you will be able to relax and unwind in comfort at the end of a long day. Now, more than ever before, we expect our homes to cater for our busy and varied lifestyles. To accommodate this, house renovation contractors are being more creative in the ways they use the available space in the home. Most homes have more unused space than their owners realise, and it often takes an experienced professional eye to determine how these spaces could be put to better use. Existing areas can be transformed in practical and attractive ways, with empty alcoves being used to house cupboards or open shelving, while the area under the stairs can provide a comfortable extra seating space or become a cosy study. There are multiple different ways you can make better use of the space in your home with the expertise of an experienced home renovation contractor. A timber-clad pod in your backyard is a great way of extending your living options into the outdoor area of your property. A pod can either be attached to your home as an extension, or stand alone as a separate feature in the backyard. 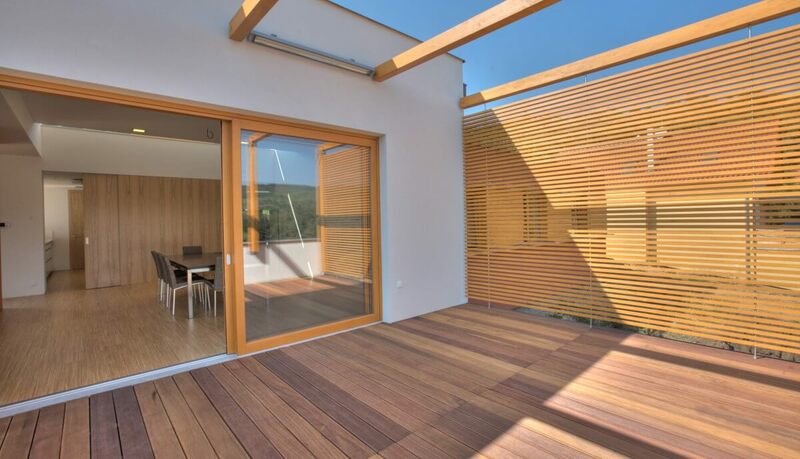 Because it is clad with timber, it also coordinates well with the outdoor environment, looking beautiful as well as giving your home extra functionality. A pod can serve as an office or study, a den for teenagers, a laundry, or just an extra living room where you can sit and enjoy the outdoor lifestyle in comfort. It can also be used as a granny flat, helping you to increase the value of your property, or an interesting guest room for those occasions when family members or friends want to stay over. There is a growing trend for making the bathroom a more multi-functional space, with double sinks and showers fitted side by side. While at first this might seem unnecessary, it actually makes sense in a number of different circumstances, as it enables more than one person to use the bathroom comfortably at the same time. Whether you are looking for a quicker way to get the kids ready in the morning, or you want to enjoy some extra-romantic relaxation time with your partner, the trend for doubling up in the bathroom is ideal from a practical point of view, as well as adding an extra touch of luxury to your new bathroom design. For the last few years, kitchen renovations have revolved around monochrome colour schemes. This is set to change in 2019, as black and white kitchens are beginning to look a little too stark. 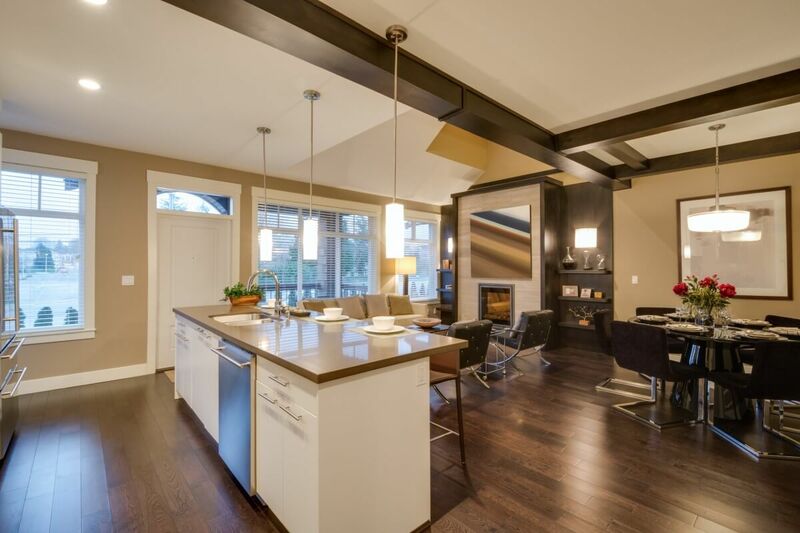 The result is increasing incorporation of colour and warmth into kitchen renovation designs. Pastel colours such as pale blues are becoming increasingly popular on walls, while painted kitchen cabinetry is also lending new interest to the room. 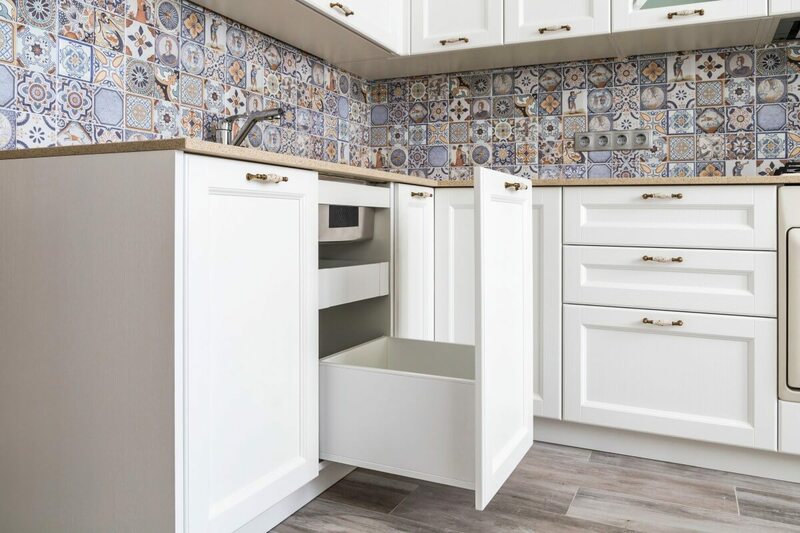 The latest splashback trend is to move away from the minimalist look which has dominated in recent years, with bold patterned tiles adding more personality. The same is being seen in counter tops, with warm-toned quartz replacing clinical white and grey marble. If you want to achieve a warmer look in your kitchen without completely abandoning your monochrome scheme, you can easily do this by changing your tapware. Gold and brass taps are now more popular than ever, providing a much-needed touch of warmth in a subtle and chic way. 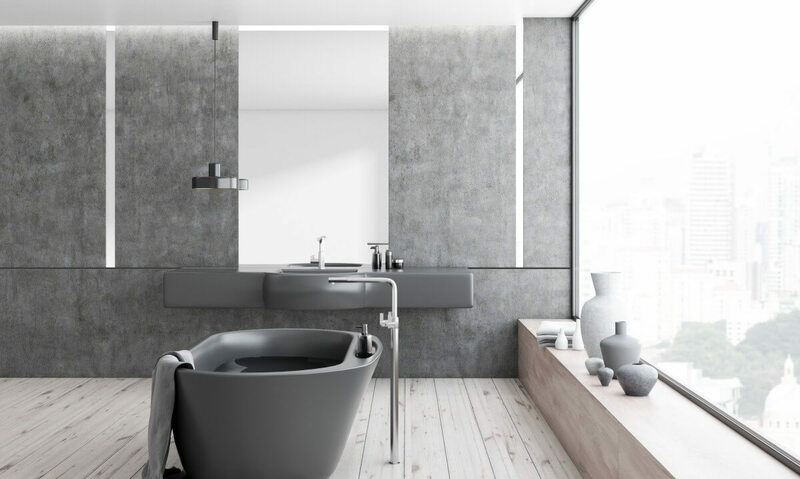 Bathroom renovations are looking increasingly dramatic in 2019, with home owners seeking to make a real statement. All-black bathroom designs are now hugely popular, with floor and wall tiles, and even fixtures and fittings, decked out in matte black, for a striking and sophisticated look. However, if you do not yet feel ready to embrace this stark trend, or if your bathroom is to small to suit the all-black look, consider bold marble tiles in white and grey. The natural patterning which runs through marble will create a look which is completely unique to your home, giving you a statement bathroom which makes the best possible use of the light and space. If you are considering a house reno this year and would like some help and advice from an experienced builder, please contact us. Our specialist team are up-to-date with all the latest industry developments, and will be happy to offer you all the information and support you need to transform your home in 2019. PreviousPrevious post:How to select the best builder for your home renovation projectNextNext post:Home renovation: Can you really do it yourself?